Speaking to Spanish public television station TVE, Sanchez expressed deep disagreement with the expected economic policies of the Juncker team. “We will not vote in favour”, Sánchez said. Spain has 14 MEPs from the group of the Socialists and Democrats (S&D). Indeed, the assignment of portfolios which Juncker announced on 10 September is widely seen as giving priority to austerity backers, while the social aspects and economic policies favouring employment are left on the backburner. 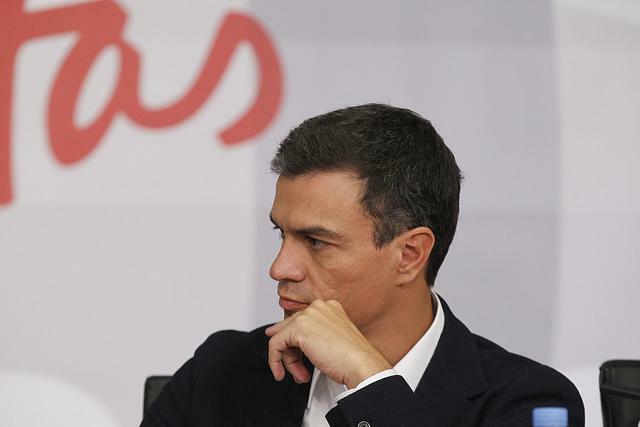 Sánchez said much more was expected in favour of countries like Spain, which suffer from alarming unemployment rates. “We should prioritise job creation in European policies and we should abandon those austerity policies that have caused us so much harm,” he said. Regarding Cañete’s nomination as Commissioner for Climate Action and Energy, Sánchez said that the commissioner candidate had failed in his previous capacity as agriculture minister, abandoning objectives to promote a more ecological policy. Since his party has learned Cañete’s attribution, its position has been negative, Sánchez said. Cañete appears to be one of the most controversial candidates for Commissioner. He is likely to feel the heat of the Parliament over sexist remarks he made during the European election campaign. The Spanish political establishment is deeply divided over Cañete’s nomination as Commissioner for Climate Action and Energy, with some political adversaries saying that he would export failed Spanish models in this area. But more importantly, the S&D group appears divided as to whether to back or to reject the Juncker Commission. Reportedly, Sánchez will hold today (16 September) meetings in Strasbourg with leaders of the group of Socialists and Democrats, including its President Gianni Pittella, and Parliament President Martin Schulz. It is likely that a majority of S&D MEPs would back the Juncker commission. In an official press release, Pittella had called the Juncker team “balanced”. He also said that the appointment of Moscovici “is a clear indication that Europe has turned the page of austerity”. In a statement, the Party of European Socialists has as an example expressed “delight” that “the key portfolio of Economic and Financial Affairs” has been awarded to France’s Pierre Moscovici, “giving a strong voice to our political family in the reform of the stagnant European economy”. But many in the S&D ranks see a different picture, and say that in fact, Moscovici is under the thumb of center-right Jyrki Katainen, Vice President for Jobs, Growth, Investment and Competitiveness. They also deplore that the Social affairs portfolio has been given to centre-right Marianne Thyssen, herself subordinated to centre-right Vice President Valdis Dombrovskis. Speaking to EURACTIV, MEP Georgi Pirinski (S&D, Bulgaria), has expressed his disappointment for what he sees as an unbalanced Commission, in which the centre-right is given dominant positions. Pirinski, a former Foreign Minister, hints that the support of his group for the Juncker team in Parliament should not be taken for granted. “The first impression from the candidates’ portfolios announced by Juncker […] is that he did not give clear signs of his readiness to deliver on this necessary and desirable change. On the contrary – through what appears as a new organization of the EU executive, he in fact preserves the dominant position of the conservative vice presidents and commissioners in charge of economic and financial policy. The issues of employment and social policy are subordinated to a vice-president from this political family”, Pirinski stated. Pedro Sánchez which i never heard can still vote against Juncker ! But votes are over now! I give Sanchez partially right ! Because the future is now to act and not in future ! So a depth pool would be nice choice as well a federal social Budget for Jobless citizens for the Euro zone ! Or give Spain their Pesetas and sunshine economy back! A federal commitment is urgently needed by the Council ! But of course this is a best example of selfish Europe of the century ! That selfish tackling makes Europe even weaker ..7 years ! On this situation …never !Merkel did nothing Hollande did nothing ! No one did nothing ! Even Ra-joy did nothing besides smoking expensiveness cigarettes by taxpayers money! the solidarity is at lowest and extremism is at its high and rising ! Because Leaders of member-states have no willing of commitment at all to change anything to rerise the economy and drop the jobless down! Why is America so proud and Europe a real disaster ?